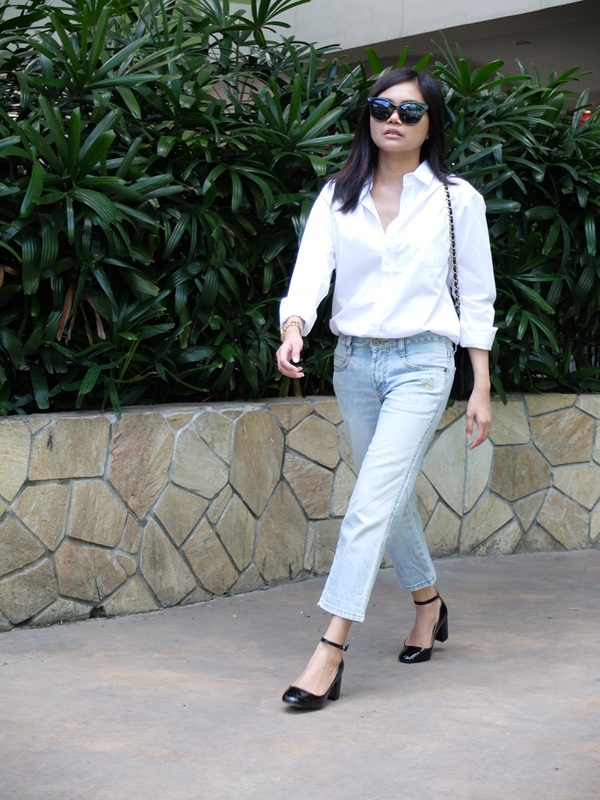 Wearing three closet staples in today's outfit post: a crisp white shirt, block-heeled shoes and light wash denims reinterpreted in this season's cropped flare silhouette. 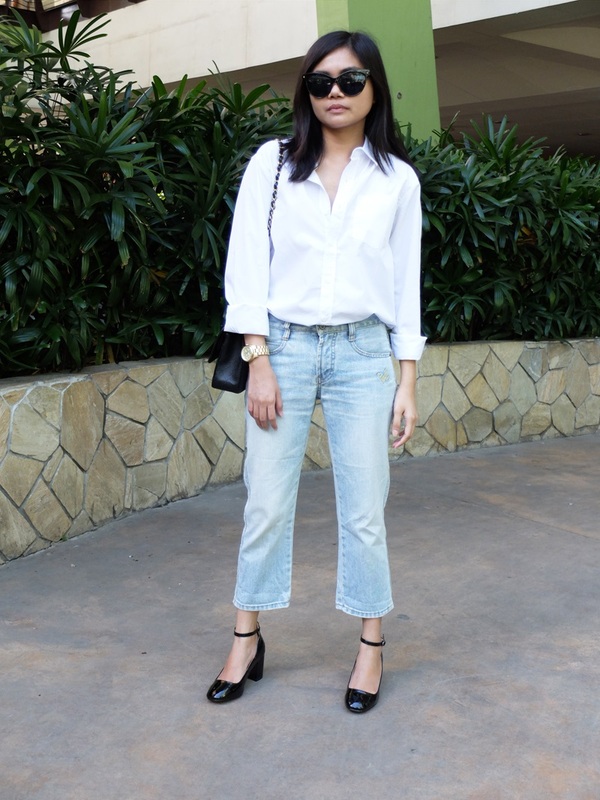 I've had these cropped jeans since 2010 and have worn them a myriad of ways― cuffed boyfriend-style and paired with over-sized knits, teamed with a casual cami and flat mules for an easy weekend look, and punctuated with statement heels and a dressy blouse for a night out with the husband. 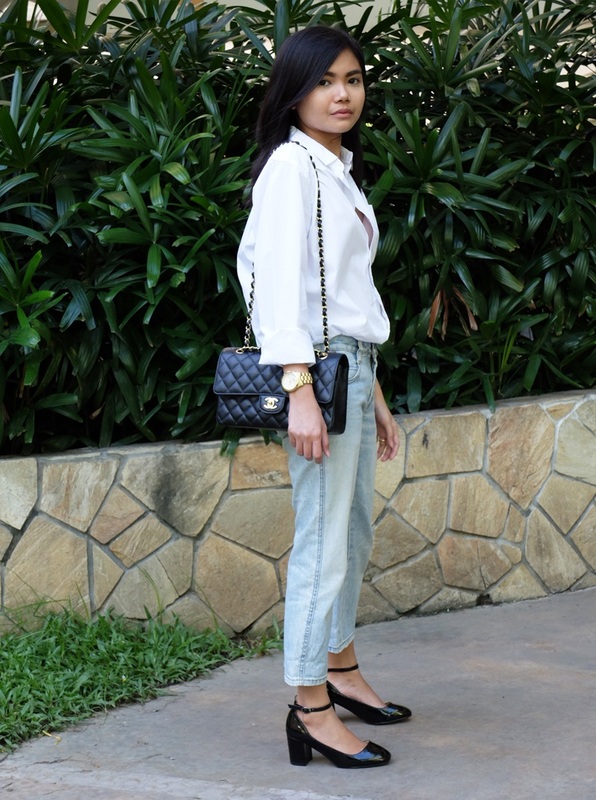 Speaking of outfit combinations, another thing that would look good with them are those two-tone Chanel slingbacks, which I've been trying to get my feet hands on for months now but are sold out everywhere! If you happen to see a pair in size 35, help a girl out. 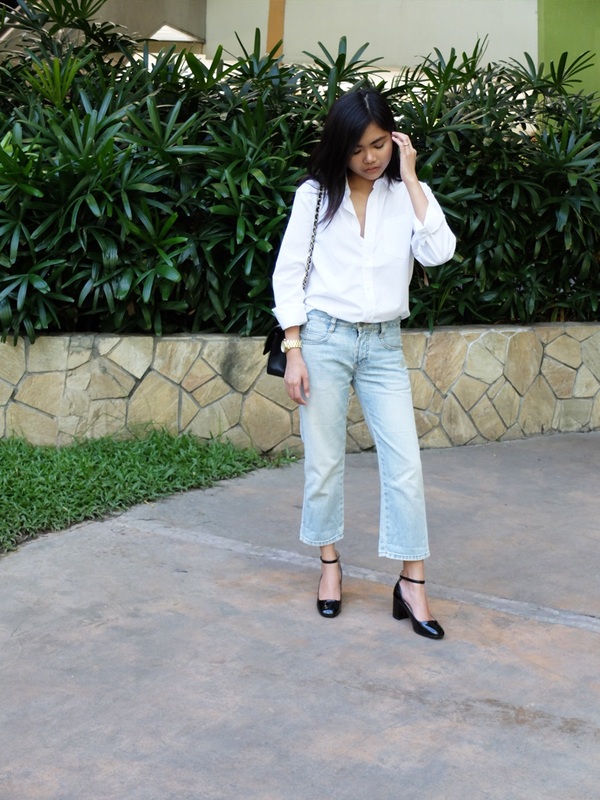 Do you like cropped flares? 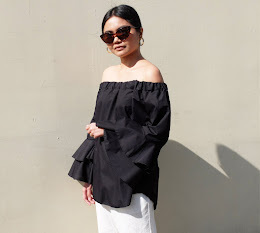 How do you work them into your daily looks?